i luv soccer sooooo much!! but we both support Japan. how about u and your lovely son Tagia? which country do u support? I watched all games of japan. I exicited "Samurai Blue" too. What games do you think the most impressive?? I think...the game of the first game in leage. I hope you here from you soon!! 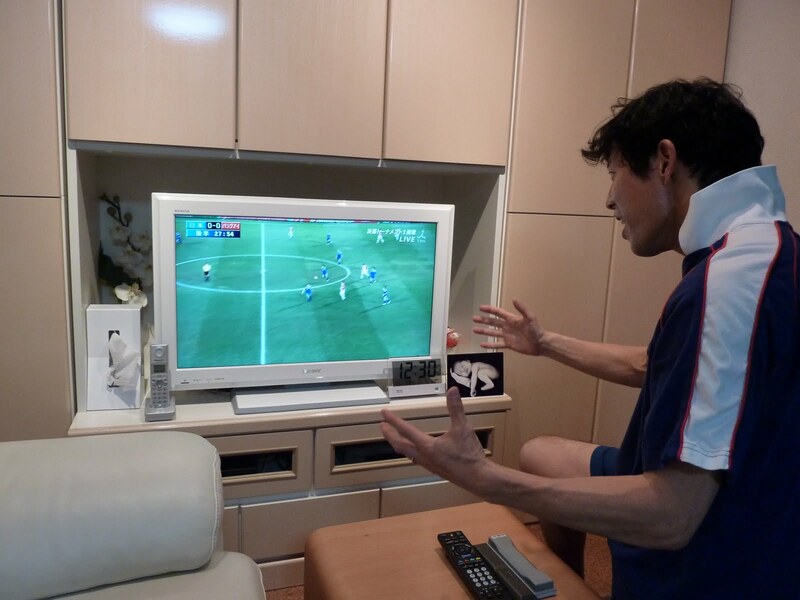 i watched world cup at home or sports bar. but, WC season is also test term ! i always wanted of sleep. what kind of sports most boys when they become teenagers switch from soccer? i belong to soccer club. but i'm not a player. do you know about our coccer club? In a spuring league,we won the championship. and in this summer,our club went to Niigata to play a game. anyway,we will do our best!! i watched every match, and so exited. i think "dirty plays", like go down and stay down and roll around on the pitch and scream and cry like a baby, is one of the Technique on soccer. on next world cup, i want to watch the game that "japan vs usj". you "must" support japan because you are in japan.